This black and white photograph shows Robert Blackwell Docking, (1925-1983) sitting at his desk. 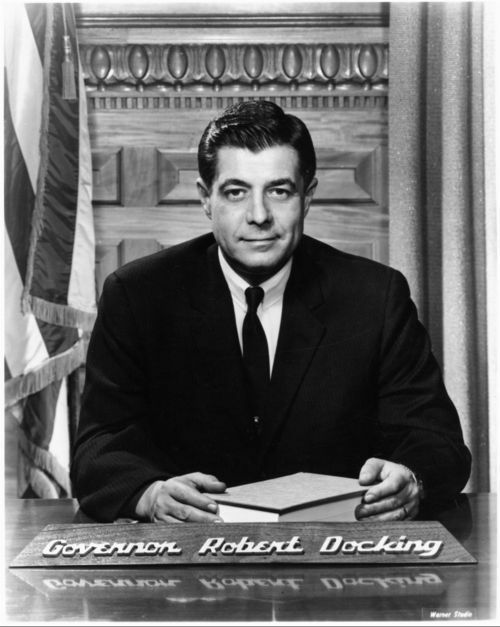 A World War II veteran and banker from Arkansas City, Kansas, Docking was elected the thirty-eighth governor of Kansas staying in office from 1966 to 1975. He served more terms than any governor before him. During his final term a constitutional amendment was enacted allowing a governor to only serve two-four year terms.